"Testimony so powerful and moving that it reaches an unintended literary greatness." In this firsthand account of inexplicable brutality, day-to-day suffering, and survival, Marie Béatrice Umutesi sheds light on "the other genocide" that targeted the Hutu refugees of Rwanda after the victory of the Rwandan Patriotic Front in 1994. Umutesi's documentation of these years provides the world a history that is still widely unknown. Available in English for the first time, this poignant autobiography is more than a testimony to the lives and humanity lost; it is a call for those responsible for the atrocious crimes-and the devastating silence-to be held accountable. "Umutesi helps us better understand the fear that has fueled a history of violence between both Tutsi and Hutu . . . and the utter failure of the international organizations, governments, and media to tell the truth about this genocide." 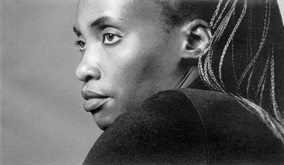 "Umutesi's personal account of the bloody ethnic confrontations between Tutsi and Hutu in Rwanda and neighboring Zaire, culminating in the 1994 slaughter of Tutsi and moderate Hutus. . . . Compelling." 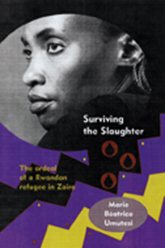 Marie Béatrice Umutesi worked with women's associations in Byumba, Rwanda, until she was forced to flee to Zaire in 1994. She is currently working on rural development projects in Cameroon. "Passages of Umutesi's book rank with some of the most effective antiwar literature of the twentieth century."